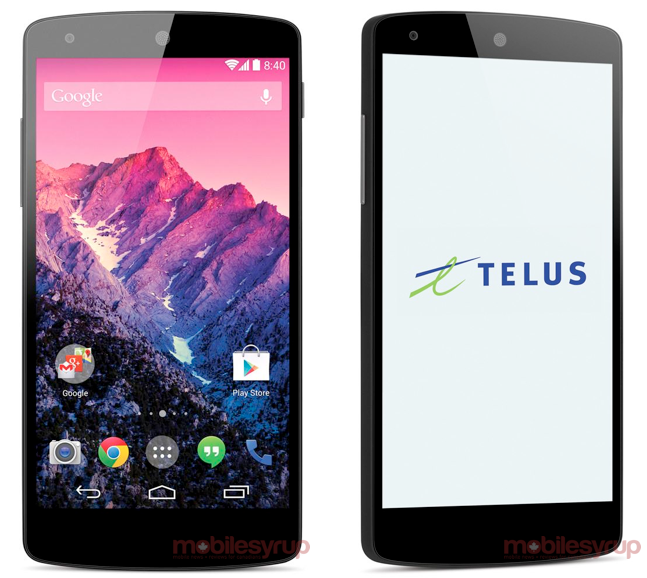 Three purported press renders of the new Nexus 5 have surfaced this morning, thanks to our friends up north at Canadian wireless provider Telus. The images were sent to Mobile Syrup, giving us one of the cleanest looks at the new Google Experience launcher headed for Android 4.4 “Kit Kat.” We also get another look at the phone’s design, though nothing there is necessarily new. But in the image situated top left, you can see the new Android 4.4 home screen in play. We have transparent notification and navigation areas, along with never-before-seen camera and folder icons. We are seeing the new dialer icon, though, along with icons for Google Play, Chrome and Hangouts. As most of you probably know, the default home screen setup for Android has for years included the stock Messaging app, so seeing Hangouts included could be taken as a sign that we’ll get full SMS support in 4.4 forward. 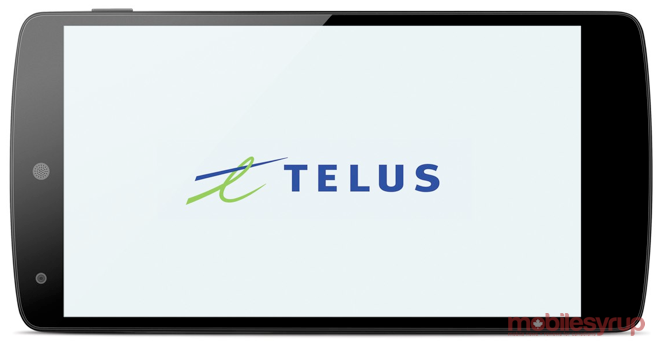 We’re also seeing the new app launcher icon and home screen indicator. It terms of phone design, the front camera, top circular speaker, volume rocker, and power switch are all on display, but the back remains hidden. No new information in terms of a launch was revealed with this renders, however, we’re still focusing on the end of October as a potential unveiling. Seeing anything else? Are you as excited now as we are? How hot does that home setup look? Get the LG G2 or HTC One From Verizon for $99 With Coupon Code "VZWDEAL"